LOS ANGELES, CA--(Marketwired - October 26, 2016) - BeMyDD (Be My Designated Driver), the nation's largest designated driver service, today announced a new campaign to promote safe driving over the Halloween weekend, a particularly deadly time due to high incidence of drunk drivers. According to the National Highway Traffic Safety Administration, over half (52%) of all fatalities on Halloween night in 2015 involved a driver or motorcycle rider with a BAC of .08 or higher(i). Halloween night deaths due to alcohol-impaired driving have more than tripled since 2011. "Halloween can be a great time, but it's also one of the largest drunk driving days of the year," says Arthur Simanovsky, BeMyDD CEO and President. "We wanted to find a way to add a little bit of fun to being responsible." Starting Thursday, October 27, BeMyDD customers who reserve a designated driver can request that their driver operate their vehicle dressed in costume. "Want to request Batman as your driver? Just leave a note in the special instructions section when you make your reservation," says Simanovsky. Whether customers are attending Halloween house parties or bar hopping in costumes, BeMyDD drivers are prepared to go the extra mile to ensure their customers enjoy the holiday safely. 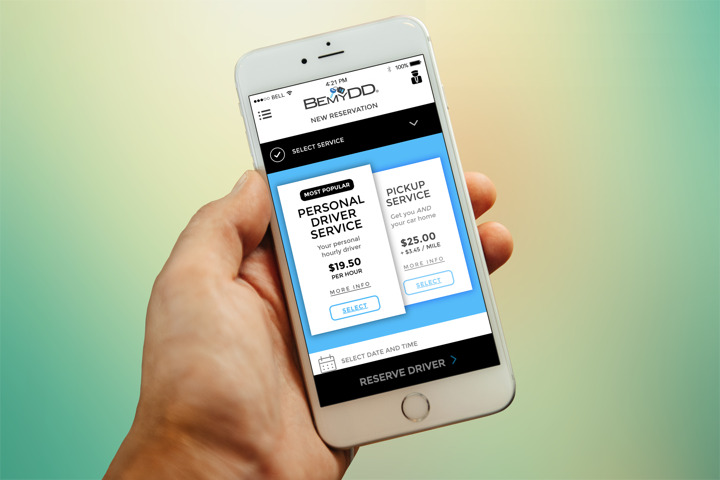 BeMyDD, a personal driving service where professional drivers operate customers' vehicles as personal hourly drivers, serves as a convenient alternative to taxis or ride-sharing services. BeMyDD offers the convenience of a chauffeur at a discounted rate by utilizing customer's vehicles. Fully screened and fully insured drivers with at least 10 years of driving experience arrive in professional attire (or in this case, Halloween costumes) to take you and you car wherever you need to go. BeMyDD's Halloween promotion runs through Tuesday, November 1. Customers can request a costumed driver via the web, phone, or the BeMyDD mobile app, available for both iOS (7.0 and later) and Android (4.0.3 and later). Visit www.bemydd.com for more details. Founded in 2010, BeMyDD (Be My Designated Driver) is a member of the Dryver.com family of personal driving services. As the nation's largest designated driver service, it currently operates in 77 markets in 32 states. This convenient, safe, reliable and affordable alternative transportation service provides a chauffeur at a discounted rate by driving the customer's automobile. Professional, experienced drivers are fully background-screened, interviewed and insured by ByMyDD and wear formal business attire. The company has national partnerships with leading liquor and wine companies to promote social responsibility, including Total Wine & More and Brown-Forman. To schedule a professional driver, go to BeMyDD.com, call +1 (877) U-BeMyDD (823-6933), or download the mobile app. To learn more, visit www.BeMyDD.com and follow us on Facebook; LinkedIn; Google+; YouTube and Twitter.